The change from SAGA Radio to Smooth Radio is set to take place this weekend, with Smooth FM in London and the northwest included, to create the largest regional radio brand in the UK. The new name means no expenses spared for owners GMG Radio. A multi-million pound advertising campaign has been booked to run on TV, six sheet posters, bus backs and liveried taxis to support the station launches in their individual regions – London, the East and West Midlands, the northwest of England, Glasgow and, later this year, the northeast of England. The on-air branding is set to change too, with former LBC and talkSPORT presenter Sean Bolger replacing Mitch Johnson as the main station voice. 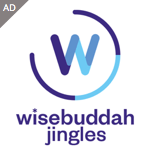 A new set of jingles will also start this weekend to reflect the new strapline of Your Life Your Music. In the TV ads, artists Buddy Holly will become Diana Ross who will become Rod Stewart as they perform some of their greatest hits. They will run in March and April and feature well known tracks such as That’ll Be The Day, Baby Love and Maggie May, and provide an instant flavour of the new easy-listening sound of the five stations across the UK under the Smooth Radio brand. The stations hope to attract the mature adult and provide a commercial alternative to BBC Radio 2. The creative for the poster campaign will also feature artists and their hit songs, such as ROD and Want to hear All Your Favourite Songs? Tonight’s The Night’ (as pictured below). Sean Bolger, the new voice of Smooth Radio told RadioToday.co.uk: "I'm really thrilled to be working with John Simons, Kevin Job and the team again, and very honoured to be a part of the Smooth Radio launch. If GMG's Real Radio brand is anything to go by, the Smooth Radio format has all the makings of another massive success story."